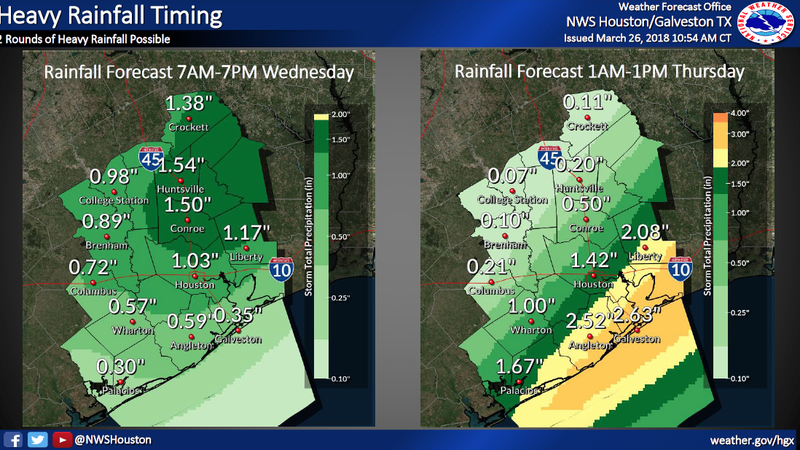 Spring, Texas – March 27th: A slow moving cold front will be moving through the Houston Metroplex bringing rainfall and thunderstorms Tuesday night through Thursday. According to the Storm Prediction Center (SPC), there is an elevated risk for severe weather including hail, damaging winds, and isolated tornados. Locally intense rainfall rates may create minor street flooding – 2 to 4 inches of rainfall is forecast.